I can't believe it's already time to start thinking about pulling out all the Christmas decorations. It seems like I just finished the major task of packing everything away from last Christmas. All the Christmas magazines coming in the mail have inspired to me start working on my Christmas decor. 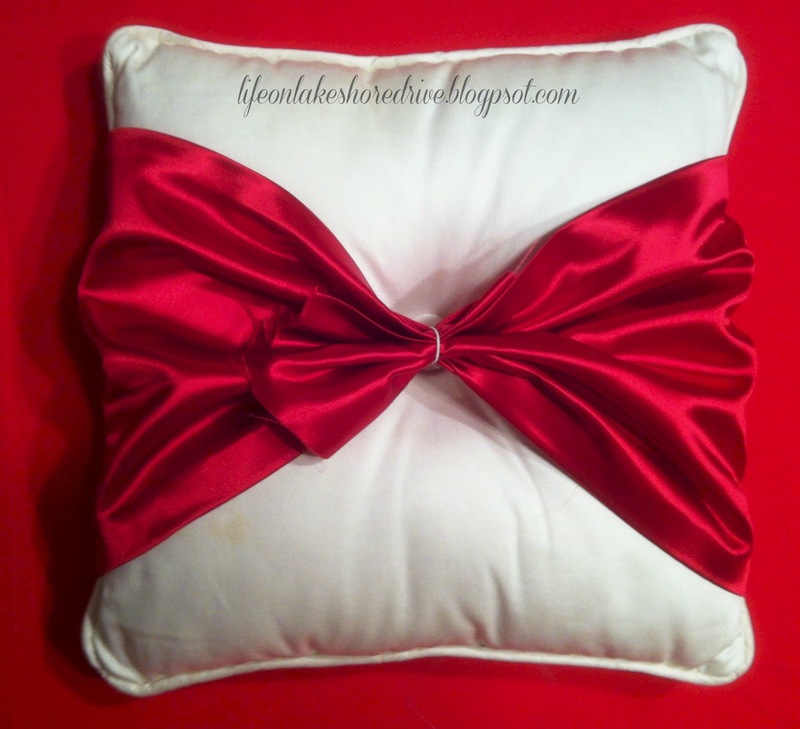 This pillow was inspired by one that I saw in the Pier 1 Imports catalog. 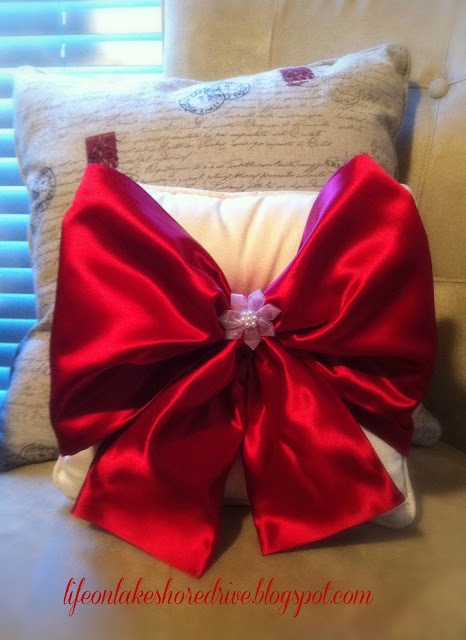 I love the big red silk bow, and since I have several small pillows I wanted to use in Christmas decor I decided to tackle this project. It was super easy, because I used HeatnBond No-Sew adhesive. I was afraid that the adhesive would show through the fabric, but it didn't! It actually worked perfect, because it was just stiff enough for the bow to hold its shape. Here's another one I created with green fabric. 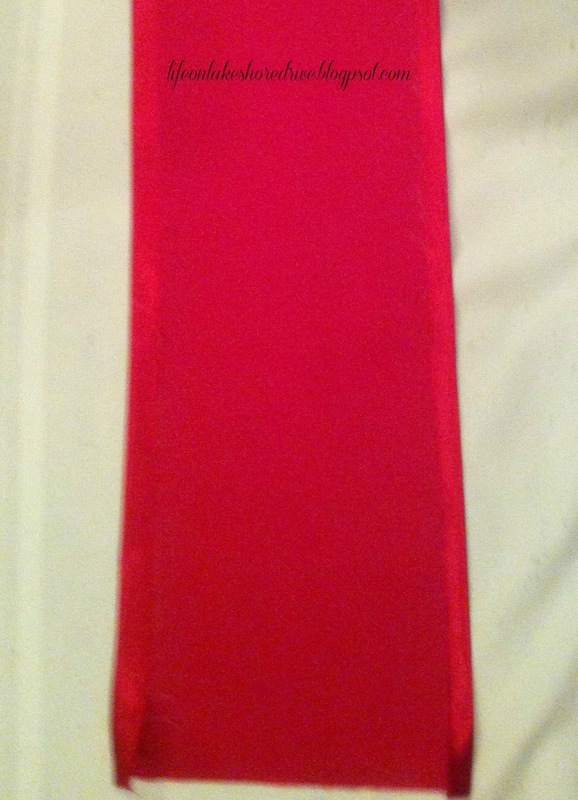 I cut 3 strips of fabric and used a very thin strip of the no-sew adhesive around all the edges. 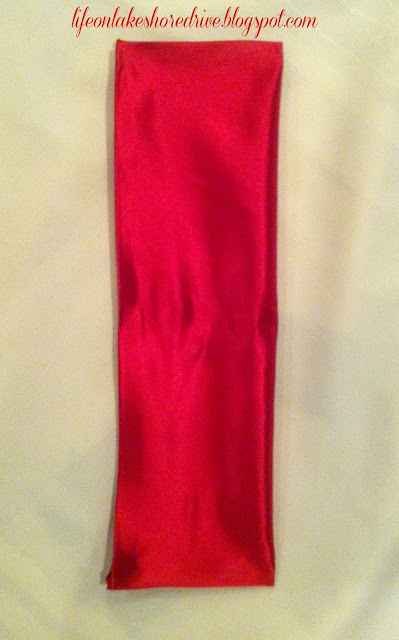 Sorry for this horrible photo, but red silk and inside night lighting do not work well together. After the fabric cooled, I wrapped the first piece around the pillow, and secured it with a small piece of floral wire. I used the second piece for the top part of the bow, and attached it with floral wire. 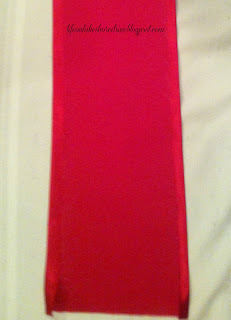 The piece above is the one that I used for the bottom part of the bow. I folded it in half and tied all the pieces together with a strip of fabric. I added the white embellishment, because it reminded me of a snowflake. 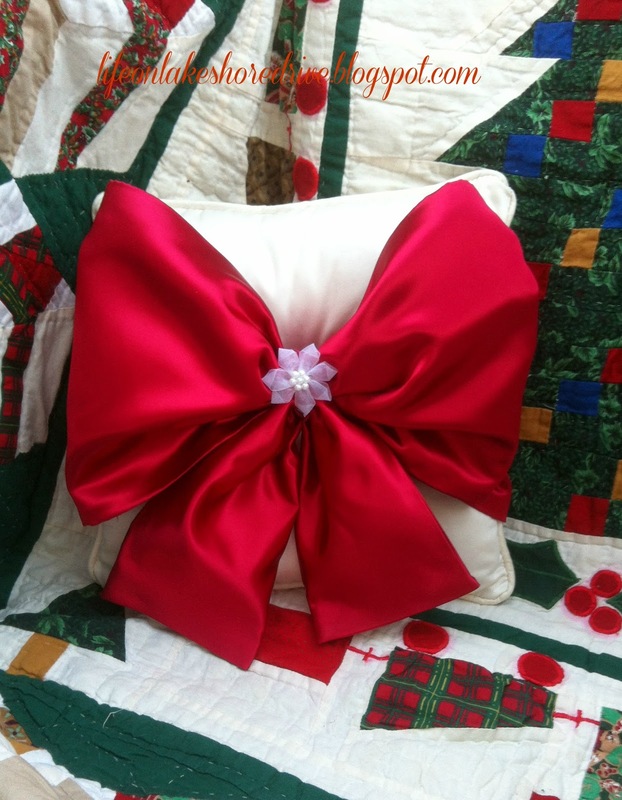 Here is another one that I made the same way, except I added a silk rosette. I may go back and add a bow to it. 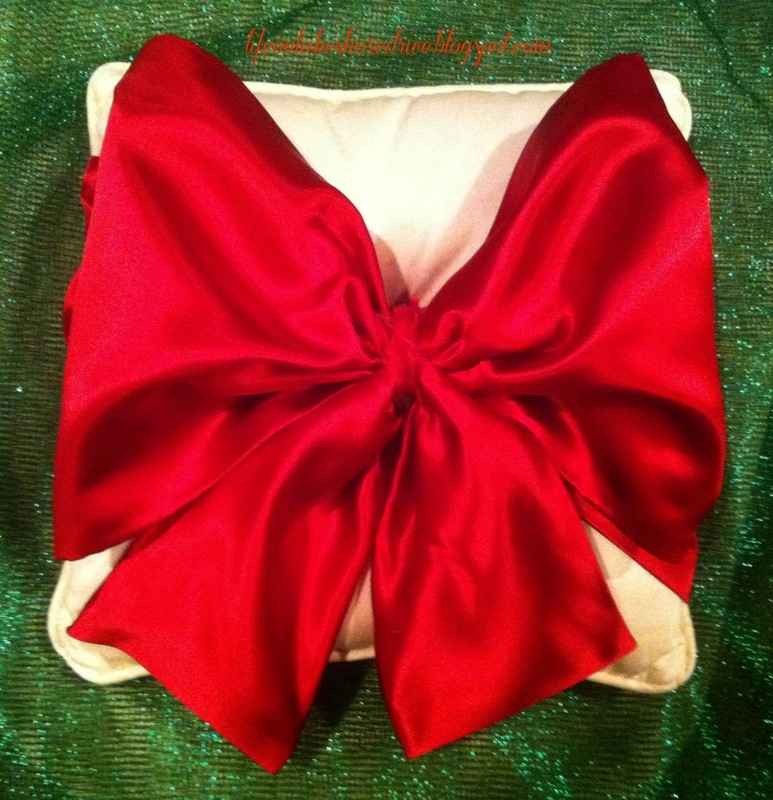 This was a gold pillow, so I wrapped it in the red fabric. Besides being super easy to make, the best part is it slides right off the pillow. When the holidays are over, you still have your pillow to use year round. Well, there's one Christmas project down. Thank you so much for stopping by! I appreciate it so much, and love hearing from you, too! So simple and beautiful! I love your staging. Really beautiful Kathy! I love them both! Kathy! You totally beat me to the punch with this one! I was in Pier 1 a couple of weeks ago (there is one about a mile from my house) and as soon as I walked in I saw this pillow and took a picture, thinking it would be an easy project. Your knock off is great! Just beautiful! Kathy...love the rich, red satin bow! Oh my gosh! Both of those are so pretty! Oh, thank you so much, and thanks for visiting! Thanks so much for visiting. Ohhhh, I am so sorry!! You do your version, and we can compare. LOL I bet you will sew yours. :) I need to dust off the sewing machine one of these days. Thank you for your sweet comment, too! See you at the party! Thank you so much, and thanks for visiting. Great idea! Looks fabulous and doesn't take a huge amount of effort. Thanks for sharing! Thank you, and it really was easy! My kind of project. Thanks so much for visiting. Just wanted to let you know that I admired your cushion so much that I shared it on my blog today! Kathy, your re-creation is "right-on"!!! I saw this in the catalog too and thought what a nice looking pillow it is. I think your pillows look prettier and more colorful and can't wait for more of your Christmas creations! I LOVE this. Definately making me one! Beautiful pillows. I didn't see the Pier One version, but I sure like yours. Super cute pillow, I love the big bow! Thanks for sharing on Super Sweet Saturday. AND thanks for the message today, I haven't decided what to do yet. Thank you, and thanks for the hosting. You are so welcome. I felt the same way! Have a wonderful week!! Hi Kathy, so charming your pillows, love them! Those are beautiful Kathy...and simple too. I like simple. Thanks for sharing at the newbie party. BEAUTIFUL pillows!!!! Love the big bright red bow!!!! So beautiful and festive! SO PRETTY AND FESTIVE. THANKS FOR SHARING. 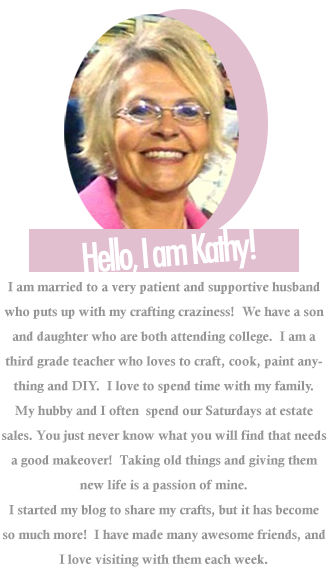 Hi Kathy, I just found your blog. These pillows are gorgeous! Thank you for sharing step-by-step pictures. OMG! Love these. 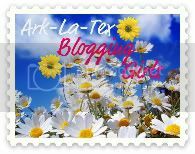 NEw to your blog. Glad I stopped by!!! what a terrific idea! So easy too, love it. Oh my goodness, those are beautiful and I need to make one! What a clever idea and they turned out so pretty. Thanks for sharing! These are beautiful! 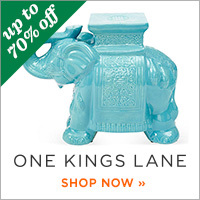 A very goodd way to bring the colors and textures of the season to any room! Thanks, Debbie! I love simple, too!! Thank you so much for visiting, and for hosting an always awesome party! This is such a great idea! I must do this. Thanks for sharing. Thank you so much! They were so easy to make. My kind of project. :) Thanks so much for visiting. Thanks so much for stopping by!! LOVE the pillows Kathy!!!!! I soooo want one! Thanks so much for sharing this at The DIY Dreamer... From Dream To Reality! Two beautiful pillows! Very festive! Thanks for linking to a Round Tuit! Hope you have a fabulous week! Your pillows are stunning, Kathy! Hi! 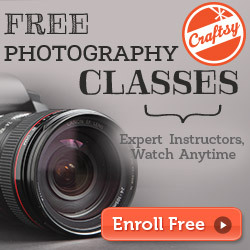 I am your newest follower and was hoping that you'd stop by my blog and follow me back. Your cushions are gorgeous. Thanks for letting us know how you created them. Thank you so much, and thanks for stopping by! Can't wait to visit your blog. 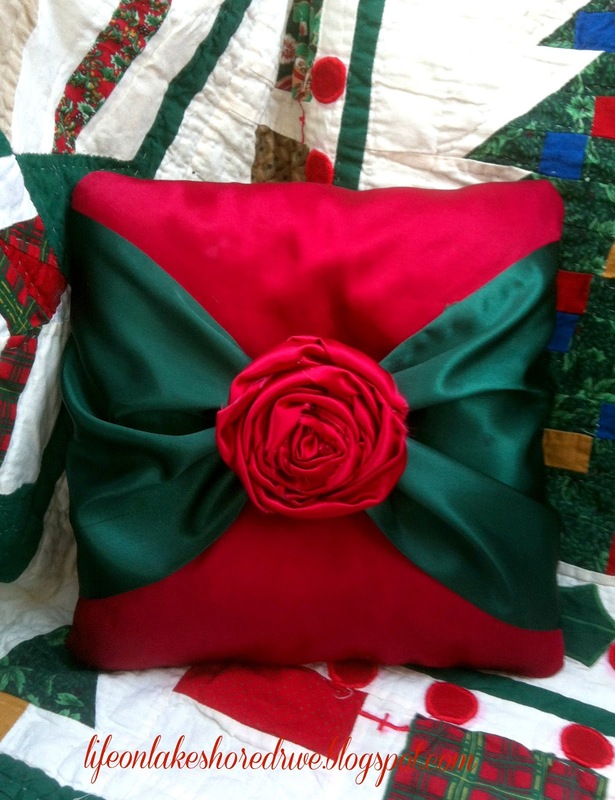 gorgeous pillows Kathy, I'm so glad you sharing this wonderful idea @ Inspire Me Fridays! Thanks for sharing with my NO RULES Weekend Blog Party! Wow! Love your cushions, but how do you find time to craft if you are busy linking to all those link parties - this is a real question... time management is my weak spot! I too have some Christmas Crafts posted already - crohet Mini Christmas Stockings and Chocolate Poinsettia. What can I say, beautiful! These came out so cute. I love them. It's awesome and I bookmarked it to visit later (something I rarely do!). Thank you for sharing. I'm visiting you from the No Rules Weekend hop. Kathy these are so cute and elegant. Thanks for your continued wonderful link ups at Miss Information! Lovely!! It's also great that these are no sew - definite bonus in my book. 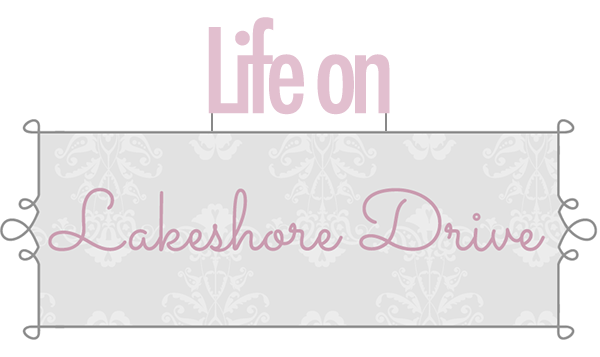 Thanks for linking up at Romance on a dime!! Thanks for sharing on Simple & Sweet Fridays. I love this idea, and no sewing. The pillows turned out so beautiful! Cute pillows!!! I really love the red & green one! Congrats! 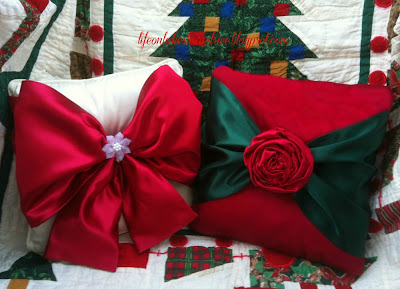 You've been featured on Simple & Sweet Fridays for this Fantastic Easy No Sew Christmas Pillow. Gorgeous! Have a Wonderful Thanksgiving! Thank you so much, and thanks for stopping by! Oh, thank you so much! You made my Thanksgiving Day!! Hope you've had a wonderful day, too!! See you at the party. Beautiful! I love that there isn't any sewing involved! Thank you so much! It really was so easy. That's why I love the no sew part. LOL Thanks so much for the great party! Those look great, I love how Christmas-y they are! Thanks for sharing at The Fun In Functional! Wow, you shared a whole BUNCH of wonderful ideas with us. These are such a dramatic Christmas twist on a classic no-sew pillow. I love the shiny fabric and the homey feel of it all. Thank you for sharing! Your pillow is absolutely gorgeous! Thanks so much for sharing on Thursdays Treasures. Thank you so much, Rose! I love that big bow! Thanks so much for the awesome party, too! Thank you so much, Julie!! You made my day! Thank you so much and thanks for the awesome party! Love it! Hey Kathy………! This post is awesome. You have shared here extraordinary ideas for Christmas Ornaments. Its lovely.. I am speechless. Will help you shed inches and pounds, banish the bloat, And feel even more gorgeous. Hi Kathy, such pretty pillows to share. I am glad you joined in the knock off party. Enjoy! Didn't find what you're looking for? Search here!